An attractive visitor centre, which also acts as an urban link. 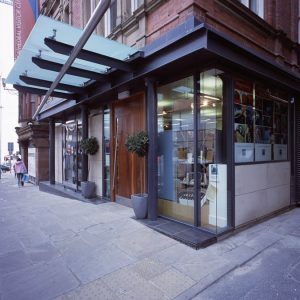 The Manchester Cathedral Visitor Centre is situated within the City Centre Millennium Quarter and the Cathedral Conservation Area, the building forms a link from the cathedral precinct to the city centre. 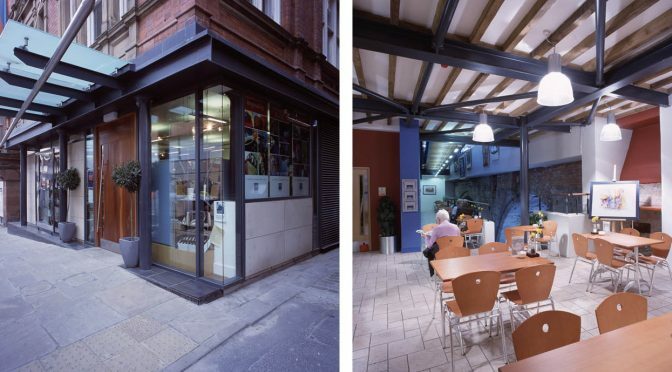 Its formation entailed the redevelopment of two elaborate, Victorian brick buildings constructed above the 13th- century ‘Hanging Bridge’, Manchester’s only scheduled ancient monument. 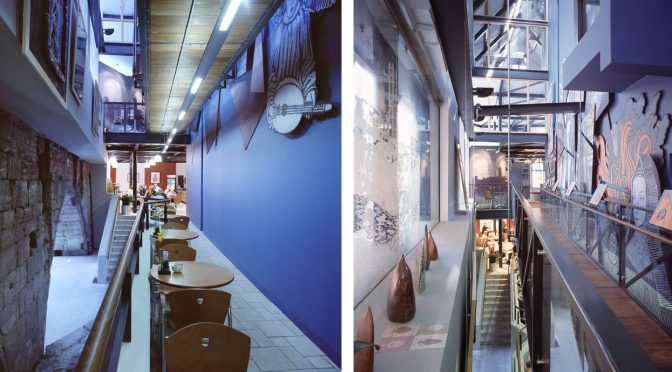 Existing interiors were removed and reformed to create an interactive exhibition, cafeteria, retail, educational and social spaces within a new structure, which incorporated open floor voids from basement to roof and exposed the original fabric of the Hanging Bridge. 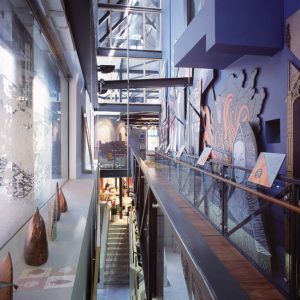 Working closely with English Heritage, the Department of Culture, Media and Sport and Manchester Archaeological Unit, the visitor centre’s innovative modern design actively encourages public involvement in the heart of the city.